Arctic News: Arctic Methane Release: "Economic Time Bomb"
study examining the impact of a 50-Gt release of methane from the melting permafrost at the East Siberian Arctic Shelf (ESAS) over different time periods, ranging from one to five decades. Back in 2008, a study by Natalia Shakhova et al. considered release of up to 50 Gt of predicted amount of hydrate storage as highly possible for abrupt release at any time. In order to estimate the cost of such a release, this new study used a more recent version of the model used in the renowned Stern Report. Findings of the study are published in the journal Nature. The conclusion is that such a release from the ESAS alone comes - in the absence of mitigating action - with a price tag of $60 trillion. By comparison, the size of the world economy in 2012 was about $70 trillion. Such a methane pulse will "bring forward 15–35 years the average date at which the global mean temperature rise exceeds 2°C above pre-industrial levels", says the paper. "The economic consequences will be distributed around the globe, but the modelling shows that about 80% of them will occur in the poorer economies of Africa, Asia and South America. The extra methane magnifies flooding of low-lying areas, extreme heat stress, droughts and storms." "The total cost of Arctic change will be much higher," says the paper. To find out the actual cost, more feedbacks should be incorporated in the model, such as linking the extent of Arctic ice to increases in Arctic mean temperature. The full impacts of a warming Arctic include, for example, ocean acidification and altered ocean and atmospheric circulation. "Midlatitude economies such as those in Europe and the United States could be threatened, for example, by a suggested link between sea-ice retreat and the strength and position of the jet stream, bringing extreme winter and spring weather. Unusual positioning of the jet stream over the Atlantic is thought to have caused this year’s protracted cold spell in Europe." 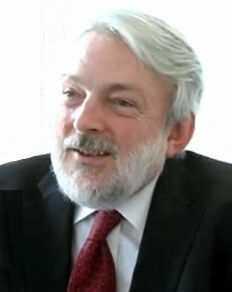 Peter Wadhams, Head of the Polar Ocean Physics Group at Univeristy of Cambridge. Peter Wadhams: The 25 July post by Jason Samenow on the global economic impacts of methane emissions in the East Siberian Sea portrays the findings of our research as misleading, a statement with which I strongly disagree. Our work is based on a prediction of the magnitude and timing of methane emissions from the thawing of Arctic offshore permafrost by a scientist who has done extensive field work on this part of the ocean bed and is a globally recognized expert. We calculated the financial implications of these emissions for the world economy over a century and also considered the effect of the emissions on increasing overall global warming, obtaining a 0.6C figure by 2040. We rightly consider these to be substantial figures, which deserve wide circulation among climate scientists, and Nature and its referees agreed with us. In our analysis we showed that the overall cost of a given volume of methane release is relatively insensitive to the rate of release or, within limits, its timing, BUT that the cost is roughly proportional to the overall volume of release. Thus, even if you worked with a different projection by a lesser qualified scientist than Shakhova, and revised down the figure and scale of the 60 trillion dollars accordingly, I suspect the cost will still be substantial – and that is one clear finding: The planetary cost of Arctic warming far outstrips any possible benefits to shipping or natural resource exploration. In support of its skepticism about methane emissions the article quoted authors who wrote before the enormous retreat of summer Arctic sea ice and its oceanographic effects became so evident. The mechanism which is causing the observed mass of rising methane plumes in the East Siberian Sea is itself unprecedented and the scientists who dismissed the idea of extensive methane release in earlier research were simply not aware of the new mechanism that is causing it. Therefore I robustly defend our research and commentary, and hope that rather than dismiss the substantial risk such a methane release poses, the response might be to support more intensive research on this problem. Nathan Currier: Earlier this year, a small piece of rock exploded over Russia, breaking some windows and causing minor injuries, yet shortly thereafter, a congressional panel was convened here in Washington, DC on the risks of significant asteroid impacts, and the panel, after being told they were about 1/20,000 for the year, was also told by the experts that billions will need to be spent to prevent a “possible catastrophe”. John Holdren, President Obama’s chief science advisor, commented, "The odds of a near-Earth object strike causing massive casualties and destruction of infrastructure are very small, but the potential consequences of such an event are so large it makes sense to takes the risk seriously." Holdren was right: in assessing a risk, it is a product of the probability and the magnitude that counts in the end. Nothing we do alters the risk of asteroid impacts, but our activities are profoundly altering the risks of unleashing powerful arctic carbon feedbacks. Like night and day with warming, where we don’t tend to notice that nighttime temperatures are increasing more rapidly than daytime ones, the scientific community’s assessments of risks tend to focus on those things which, by being more continuous, can have the daylight of quantitative analysis shone upon them more easily. But there is no question that the risks in the arctic that are rising most rapidly are the “nighttime” ones of abrupt changes. That is because there is already a 100% chance of increases in chronic emissions. Somewhat like larger and larger rocks hitting the earth, the risks of larger and larger methane pulses are certainly progressively smaller, but the important point here is that if we were to say conjecturally that in 1970 the risks of a 50Gt release might have been like the “city-killer” asteroid at 1/20,000, these risks now might have decreased by an order of magnitude. It is still not likely to happen now, with, let us speculate, a 1/2,000 risk, but because of the magnitude, as Holdren says, you should take this very seriously. Far more seriously, I might add, than a meteor striking the earth. Meanwhile, the leaked draft of the IPCC AR5 suggests that all arctic carbon feedbacks will be largely ignored in the report, even those that are more or less certain. I would add that articles like this, characterizing the Nature commentary as “mischief” and “hype,” contribute to climate illiteracy in their own way, full of mischief without coming from a denialist perspective. There are too many errors here to elaborate them all. First, it makes a complete red herring of methane hydrate, quoting Ruppel on hydrate stability, etc. Let it be noted: 50Gt of methane is only about 2% of estimated Eastern Siberian Shelf (ESS) total carbon, and would only be 7% of the free gas reservoir that lies under the hydrate layer. There are many possible gas migration pathways for methane excursions, from pingo-like structures, fissures, the taliks appearing more and more throughout the permafrost layer, slope failure, sediment or mudslides around the Lena delta, an endogenous seismic event along the Gakkel ridge, etc. Thus, hydrate is really not even needed for a methane catastrophe scenario at the ESS. None of the quotes, moreover, about hydrate distinguish between the exceptional situation at the ESS of very shallow waters and the hydrates elsewhere around the world, which are indeed mostly quite secure. Despite this, Hansen considers methane hydrate one of the three main coming tipping points in the climate system. The article quotes David Archer, a clear outlier on this issue, in that he doesn’t even believe the PETM warming (55 million years ago) was caused by methane hydrate release, which is the dominant paleoclimate theory, based on isotopic evidence. Meanwhile, it also quotes a paper claiming that there is no evidence for any major hydrate release at all over the last 100,000 years, clearly not something that Archer would agree with, as he himself has written an authoritative paper on the methane hydrate release of the Storrega landslide event (~8000 years ago). At the group 1250 (1250now.org), we are focusing now on precisely the opposite, the subtler changes in surface-produced methane that are likely with further loss of sea ice, but it is shocking to see a response like this one to an issue of obvious importance. To close, no one doubts that a 50Gt release of methane is “unlikely” right now if you consider 1/2,000, let’s say, unlikely. But as the thermal signal of anthropogenic warming propagates into the sediment below such shallow waters as at the ESS, and given that the ocean currents are not the same now as they have been during the paleoclimatic past, such that paleoclimate cannot ultimately be used to constrain and quantify the actual risk, it is clear that the risks, unlike those of asteroids, are growing. But that was clearly NOT the point of the Nature commentary. The point of the commentary was to note that the impact would be very, very big. So, to go back to Holdren, it should be taken very seriously. Gavin Schmidt: Threshold releases even 1/10 as large as postulated would be clear in ice cores. There is nothing there. In more recent past, there have been a number of times when Arctic (not necessarily globe) has been significantly warmer than today. Most recently, Early Holocene, which had significantly less summer sea ice than even 2012. Earlier, Eemian 125kyrs ago was significantly warmer. First, clearly no one is suggesting that during the 800,000 year period covered by ice cores there has been any such release. Further, David Archer, quoted in Revkin’s piece and a leading authority on such issues, has specifically discussed the possibility in a peer-reviewed paper (Archer, 2007) of fern diffusion allowing a Gt-scale release to escape detection in ice cores. The problem with this argument, made repeatedly when this same issue erupted over a year ago, is that it is looking weaker than it did just a year ago: for example, we are learning that certain key ocean currents were significantly different during the Eemian than they are today – see http://phys.org/news/2012-06-climate-cold-arctic-eemian.html. And what counts in this argument is what the sea bottom conditions are, of course, not just the surface conditions. Schmidt is right that at times it was much warmer than today in the arctic, possibly 8C warmer, as we have seen from the Lake E work, but he forgets himself, and points to the early Holocene, although the area in question was a frozen piece of land at that time, not an underwater shelf, so that is purely irrelevant, as it took almost 4,000 years before the area in question became inundated. But risks are growing significantly in the arctic by the year, and a 5Gt release, which would double the atmospheric burden, would result from less than 1% - about .7% - of estimated ESAS free gas below the hydrate layer being released, without any hydrate needing to be involved, which some kind of endogenous seismic event could conceivably set off, perhaps a sediment pile mud slide around the Lena mouth, for example. The point of the paper, lost in all of this, was just to say, this would cost us about $6 trillion. The worst moment of Schmidt’s points, one which really merits censure, is to refer to all the research being done in the area (he clearly means Shakhova and Semiletov here) as “one off surveys.” Note that he isn’t even asking for better research to be done there, either. I personally find that quite unfortunate, even a bit embarrassing for someone who has built up a sterling reputation. He (Schmidt) is certainly right that there is no recent example of CH4 being higher than the pre-industrial baseline, and that includes the “super-interglacials” from Lake E bores, but it is incredibly unwise to jump to the claim from that that we are not near dramatic releases without offering any evidence at all. It is far better to go by the best peer-reviewed research about contemporary conditions on the ground than to speculate about the few generalities we can draw from the sketch of climates past we have put together for the last few million years, as valuable as that sketch is. There was at no time during that period anything like the 400ppm of CO2 in the atmosphere now, nor the many other GHGs levels we have boosted, nor the things that have no natural analogue like the CFCs, nor is there any analogue for the rate of change we have experienced, and so the sea level’s relationship to the atmospheric conditions has no analogue either, and we are also learning at the same time just how sensitive and variable key arctic ocean currents might be in this region. All that said, Schmidt acknowledges that “potential for Arctic CH4 to have threshold behavior is real,” and I should also acknowledge that I agree that the 50Gt scenario is not likely at this time. Sam Carana: Analysis of sediment cores collected in 2009 from under ice-covered Lake El'gygytgyn in the northeast Russian Arctic suggest that, last time the level of carbon dioxide in the atmosphere was about as high as it is today (roughly 3.5 to 2 million years ago), regional precipitation was three times higher and summer temperatures were about 15 to 16°C (59 to 61°F), or about 8°C (14.4°F) warmer than today. In conclusion, the situation today is much more threatening, particularly in the East Siberian Arctic Shelf (ESAS), as further described in other posts at the methane hydrates blog. Albert Kallio: The problem with ice cores is that if there is too sudden methane surge, then the climate warms very rapidly. This then results the glacier surfaces melting away and the ice core begins to loose regressively surface data if there is too much methane in the air. Sam Carana: Uncertainty does NOT constitute a valid argument to dismiss warnings about large abrupt methane releases in the Arctic. Instead, uncertainty calls for further research and for comprehensive and effective action, especially since so much is at stake and the dangers are getting larger each time the necessary action is delayed. - Anomalies of methane in the atmosphere over the East Siberian shelf: Is there any sign of methane leakage from shallow shelf hydrates? The evaluation of impact of some 50 Billion Tonnes release of pure Methane from East Siberian Arctic Shelf area of Arctic Sea on world economy in dollars that literally are not linking to externalities of harms to environ e. How exactly is that going to work save to get language of human to understand in terms they harness to. How is that base unit of measurement rationally usable..
That needs alteration of a goodly dose of medicine. Right in my pouch here on the USS Medicine Wagon is what is the same as snake oil to some to save Earth. It's called Act o God alteration if my eyes don't fail to function correctly.. - I can barely read my own writing there on the bottle..
-But before I forget there is a modification to application for full effect magnification, ALEC. Not the traditional corporate gov bottled in 92. That brought Tabor ratchet down on Colorado here. Well' what I'm saying is we can learn from them. We need ratchet effect of dosage, Good gov here. -No NOtice should be put out can of worm medicine is to be launched to alter essence of dollar in a way that links into what that idiot Obama can fathom. Since he hardly mentioned enrichment of Earth and the keeping of her open systems of Nature vibrant when he launched his speech at Knox College, in Illinois- if he did at all..
A vision Setting out preservation of dollar worm hold on- Middle Class Faux Dream for TV viewers.. So an end run is needed to jump the shark, so to speak.. There is opportunity to see open economic system form to naturally support Nature's Open biological systems that have held Earth in HZ with moderate clime for life to stay viable..